Sharia ban defeated. Well done, defenders of freedom. JERUSALEM/NEW YORK (Reuters) – Airbnb said on Tuesday it would not implement a planned delisting of Israeli settlements in the occupied West Bank and would donate proceeds from any bookings in the territory to international humanitarian aid organizations. Heeding calls from Palestinians who want the West Bank for a future state, Airbnb had said in November it would remove the listings of some 200 settlement homes. That decision was deplored by Israel and challenged in some U.S. jurisdictions. “But Airbnb will take no profits from this activity in the region,” said a statement posted on the company website, implying the new policy would not distinguish between settlement listings and Palestinian listings in the West Bank. Most world powers view Israel’s construction of settlements on occupied land as a violation of international law, and Palestinians say it is wrong for companies to profit from them. The Israeli lawsuit, a class action, accused the company of “outrageous discrimination” and demanded monetary damages. 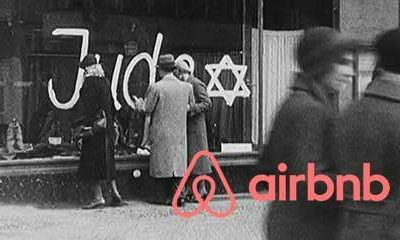 The Delaware lawsuit accused Airbnb of violating U.S. housing discrimination law by “redlining” Jewish-owned properties while letting Muslims and Christians continue to use the company’s service. The California lawsuit made similar claims. Airbnb has denied that its West Bank delisting plan had targeted Israel in general. “Airbnb has never boycotted Israel, Israeli businesses, or the more than 20,000 Israeli hosts who are active on the Airbnb platform”, the company statement said.